Criminal Law » Criminal Law » Okay, I’m Guilty… So What Now? The Charter of Rights and Freedoms guarantees that everyone charged with an offence has “the right to be presumed innocent until proven guilty according to law in a fair and public hearing by an independent and impartial tribunal”. In other words, if you are charged with an offence, you can choose to fight the charges by going to trial. You will only be found guilty of such charges if you are convicted at trial, or alternatively, if you decide to plead guilty instead of going to trial. The decision as to whether or not to go to trial can be a difficult one, and many factors must be taken into consideration. If you do ultimately decide to forego your right to trial, then the following information will help you better understand the guilty plea process, thereby increasing your chances of a favourable resolution. Firstly, it is important to note that pleading guilty requires you to admit to the Crown’s essential allegations against you. For example, if the Crown is alleging that you stole a car, you cannot plead guilty if you deny having ever taken the car. Similarly, if took the car but with the owner’s permission, then you would have a possible defence and thus you cannot plead guilty as that would entail admitting to facts that are not entirely accurate. Accordingly, you can only plead guilty if you did, in fact, commit the offence as alleged by the Crown. A guilty plea should not be entered into for reasons of mere convenience or some other ulterior purpose, such as time and cost savings. Before entering into a guilty plea, you must also be fully aware of the fact that, by pleading guilty, you are giving up your right to a trial and any possible defences that may arise on the facts. Furthermore, pleading guilty must be a decision that you are making freely and voluntarily. In other words, it is improper for anyone (including your lawyer) to coerce you or otherwise unduly pressure you into pleading guilty. You should also fully understand exactly what it is that you are pleading guilty to, as well as the sentence being sought and the ramifications thereof. One of the reasons that you should be fully informed of the plea into which you are entering is because such a resolution is generally final. If, after pleading guilty but before the actual sentencing, you wish to change your mind and amend your plea to “not guilty”, you may be precluded from doing so. You will have to put forward an application to “strike the plea”, and argue why such an order should be granted. Although you may ultimately be successful in striking the plea if there are legitimate reasons for such, it is best avoid this trouble by being absolutely certain of your decision to plea before actually doing so. At the guilty plea hearing, you (or your lawyer) and the Crown will put forward submissions as to what the appropriate sentence is for your charges, based on the circumstances. If there is a “joint submission”, that means that you and the Crown are in agreement as to what the sentence should be. Alternatively, if you are unable to agree upon a sentence and thus a joint submission is not possible, there will be an “open submission”. This occurs when you propose one sentence (e.g. a discharge) and the Crown proposes a different sentence (e.g. a suspended sentence). Upon hearing your and the Crown’s submissions, the judge will make a final decision as to what the sentence shall be. Regardless of whether the submissions are joint or open, the judge has the ultimate discretion in your sentencing, and he or she is not bound by any submissions that you or the Crown may make. As such, even if you and the Crown propose the same sentence, the judge may deviate and impose a different sentence, though significant deference will be shown to joint submissions. As everyone’s case is unique, it is important that you exercise your discretion in deciding which documents are appropriate to present. For example, if charged with a drug offence, there is likely no need to complete an anger management course and put forward documents to that effect. 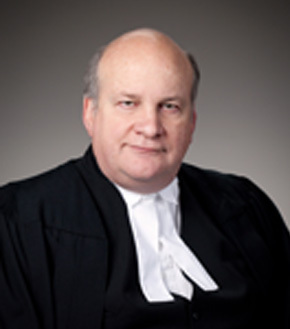 Once all submissions have been made on behalf of the Crown and defence, the judge will ask if you have anything to say before a sentence is handed down. You are not required to say anything, and you should only make a statement if it will be sincere and consistent with your acknowledgment of responsibility. As such, if you intend to say something along the lines of “The whole thing really wasn’t my fault!”, then it would be wise for you to make no comment at all. Upon completion of these steps, and after taking into account all submissions made by the Crown and defence, the judge will declare your sentence. As you can see, the guilty plea process is quite involved, and superior advocacy skills are highly beneficial in all respects. Intricate knowledge of case law and statutory sentencing principles are essential for putting forward effective submissions. As such, legal representation is critical to maximize your chances of securing a favourable resolution. Aitken Robertson has proven success in negotiating positive resolution agreements with Crown attorneys, and putting forward superior factual and legal submissions. If you are intending to plead guilty, and are seeking professional legal representation at the plea hearing, contact the law offices of Aitken Robertson at (866) 762-9218.